My first fly rod was given to me by a good friend who fly fished and was looking for someone to fish with. It was a basic Shakespeare Rod and Reel combo that you can pick up at any sporting goods store. It was a fun fly rod that was very forgiving. Forgiving in the fact that you didn’t need to be a great caster to catch fish. His thought was if you enjoy the sport, then you will eventually upgrade your equipment and have this rod as a spare. I still have the rod and have used it to teach others on. A few summers later I worked at a camp in East Alton on Winnipesaukee. 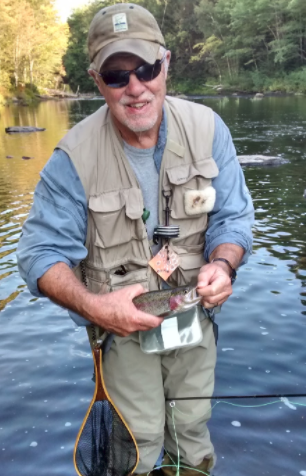 One of the directors at the camp was a big fly fisherman who was glad to have company. He had a number of fly rods that were given to him by his father. I thought it was a great idea to have some heirloom pieces to share with my children. That started my collection. We have a joke about collecting. If you have one of something it is useful. If you have two of something it is a pair. If you have three of something it is a collection. Know that collections creep up on you. It just happens. Since I have been collecting those heirloom pieces, I have learned a few things on the way. 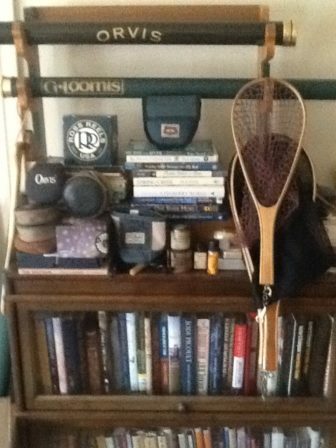 I have learned that there are a number of schools of thought on “collecting” fly fishing equipment. There are those who collect to use, those who collect to save and admire and those that do both. One of the determining factors is money. I know, a surprise right? But as my Joyful Musings colleague would say, “With patience, all things will come to you at your price.” I have found these words to be accurate. There are a number of other sayings to remember when it comes to collecting. “ Buyer beware” comes to mind. If it is too good to be true, it probably is. It is important to know all about the item you are looking for. When looking for highly collectible bamboo fly rods, the maker and condition are very important. A nice Montague bamboo fly rod could go for $100-$150, because they were mass produced and there are a lot of them out there, whereas a Leonard fly rod goes for $750 and up. You don’t want to pay the Leonard price for a Montague. If you are buying to keep and use you might be willing to pay a little more than the price you had in mind. However, if you are buying to resell it is important to get it for your price. 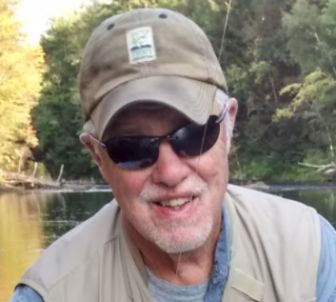 I know collectors that are constantly buying and selling to upgrade their collections, and there a lot of fly fishers that are looking for the “perfect” rod. The one that has that perfect grip and rod action for a delicate delivery or to get that extra distance. My favorite saying is “The time to buy it is when you see it.” There are items out there that you never see. They are hard to find because they are few in number and when people find them they hold on to them. I have my eye on a rod that is probably a museum quality rod. I have been dropping hints to the owner that “If they ever want to sell, I’d be interested.” I even have a rainy day fund available just in case. So, I wish you happy hunting, as you search for the perfect rod or reel to collect.